Save up to 75% on your dental care by visiting one of our dentists in Ensenada. Only 78 miles south of San Diego in the Mexican state of Baja California, Ensenada is a beach city and a convenient location for Americans and Canadians to get affordable dental care while they enjoy a short break or long vacation. Ensenada is a cosmopolitan city, catering to a diverse range of tastes. Popular as a cruise ship destination, it has a complete tourism infrastructure. A variety of historical sites, the nearby wine country, aquatic pursuits, sporting pastimes and its arts and cultural activities assure visitors of a captivating and stimulating experience. You can immerse yourself in the energy of Calle Primera–Ensenada’s First Street–lined with restaurants, bars and cantinas, where you can feel the sea breeze and sample wines, pastries and cheeses while shopping for Mexican crafts. At night, La Primera is an intoxicating mix of cultures and nationalities, brought to life with live music and dancing. Ensenada’s nightlife is as varied as its inhabitants. From low-key to high-octane you will find the perfect combination of peace and serenity or partying and merrymaking. For those tranquil moments, exhilarating views of the ocean and surrounding countryside can be found at many scenic sites, including El Mirador, Los Arbolitos and San Pedro Mártir. These natural landscapes are home to unique flora and fauna and a trip to Constitution National Park, located at the highest peak of Sierra Juárez. A bumpy ride through beautiful pine forests is worth the trip to reach Hanson Lake at the top. Home of the world-renowned Margarita cocktail, Ensenada is much like the drink–cool and refreshing but warm and inviting. For visitors coming here for dental care, first-class facilities and excellent customer service will not disappoint. Find and book your appointment with Dental Departures and you are assured of being seen by a quality-checked dentist with the best prices available–guaranteed. 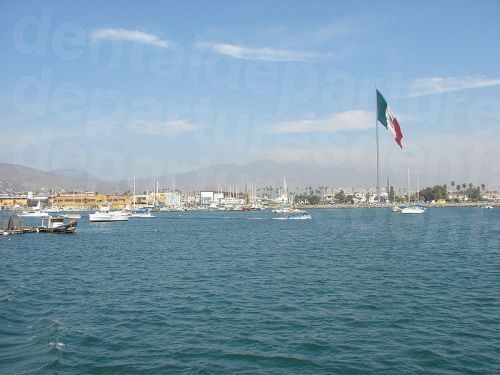 Ensenada is in the northwest tip of Mexico on Baja California’s Pacific coast. Only some 70 miles south of San Diego, California, its nearest international airports are located in San Diego on the US side of the border, or Tijuana on the Mexican side. A number of domestic airports in the surrounding area receive flights from California and the rest of North America. 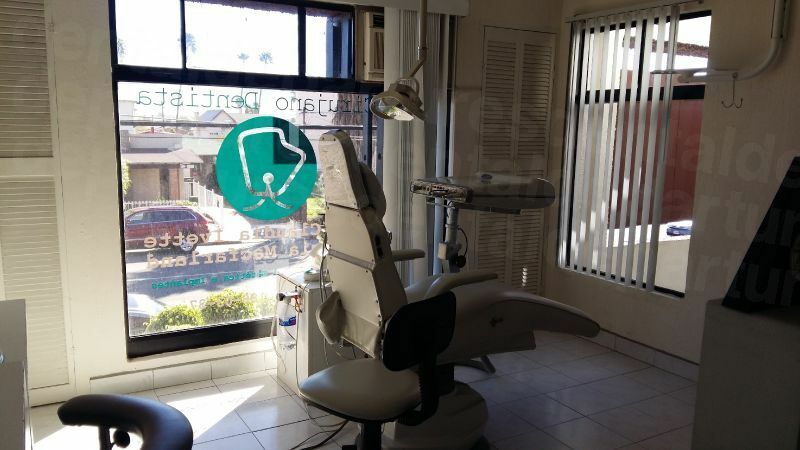 Why Visit a Dentist in Ensenada? If you’ve overcome the cultural discomfort of deciding to visit a dentist abroad, the next issue you might be pondering is whether you are going to find a good dentist. Although we can’t speak for every dentist in Ensenada, we can say that dentistry throughout Mexico these days is generally of a high standard. Training, especially for dentists who treat international patients, is on a par with dentist training at home, and there are strict quality control measures in place. That said, the range of services offered can be bewildering–do you know your orthodontist from your endodontist? Fortunately, we do–and whatever dental services you are in need of, Dental Departures makes the process simple, effortless and expedient to find exactly what you’re looking for. From the comfort of your home or office, or even on your mobile device if you’re out and about, you can search our website to find the right dentist for you in Ensenada, or anywhere else in the world. Not only do we have listings for dentists and their areas of expertise, but we also document their qualifications, where they have trained and memberships of professional organizations. Furthermore, we have included clinic photographs, virtual tours and real patient reviews to give you additional information to help you reach an informed decision. Ensenada’s dentists are certainly used to treating overseas patients. Its port, and proximity to the US border, has seen patients from cruise liners, as well as Americans and Canadians looking for affordable dentistry in a convenient location. Receiving highly-competent dental care, usually in a quicker timeframe (dentists here know the time constraints international patients are under and are quite efficient at completing your treatment on time), and savings up to as much as 75% warrants the return of patients to Ensenada time and time again. How Much Can I Save on Dental Care in Ensenada? 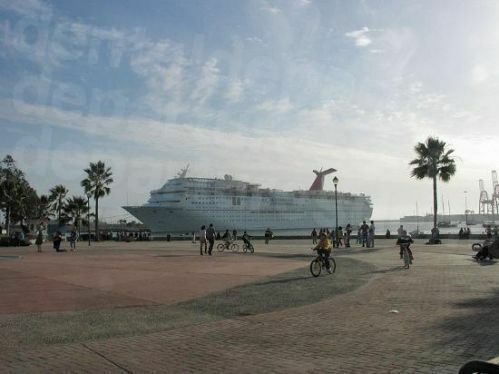 As you would expect for a busy cruise ship destination, Ensenada has a wide variety of excellent hotel options, from basic to 5-star, at very reasonable prices. Some of our dentists in Ensenada also offer free or discounted accommodation depending on the nature of your treatment, so please ask us about these options. Yes. There is no US travel advisory specifically for Ensenada, although you should always exercise caution, particularly at night, anywhere you travel. Ensenada is generally safe for tourists, but please be mindful of your possessions, as you should be in any large city—opportunistic thieves are always on the lookout for easy targets. Unfortunately, tourists are often relaxed and distracted by their new surroundings, so be sure to stay alert for pickpockets. Choose a reliable clinic and there is no reason why you won’t have a great experience at a dentist in Ensenada. It’s all about doing your research and finding out everything you can about the dentist and clinic that you are thinking of going to. As you might have learned, research is not so straightforward as you can’t always trust the information. This is why we give our patients as much data as we can. We don’t just rely on patient reviews; we check out qualifications and experience and we visit the clinics and take photos and virtual tours which are all put on our website. This gives you, the patient, a broader view of the dental clinic, enabling you to make an informed decision about your choice of dentist. Without generalizing, we are impressed with the standards of dental care in Mexico. Facilities geared toward international patients (as most of our clinics are), tend to be new, highly-equipped and offering high-quality services to attract overseas patients. Competition is strong, which means dentists look to always offer the best—great news for patients. It is not unusual to find dentists here that have been trained in the US and are American Dental Association members, which means you can rely on your dentist here having the same skills as your American dentist. What Happens if Something Goes Wrong? Does My Cental Care Have Guarantees or Warranties? You will find that all our clinics in Ensenada offer warranties on the work performed and materials used. Although no-one can completely guarantee the outcome of any medical or dental procedure, it is rare for any of our patients to experience problems. However, if there are any problems, we work directly with the clinic and dentists to make sure you are satisfied. Ensenada is a cosmopolitan city with many ethnic groups represented, and its proximity to the United States makes it a popular spot for American visitors. Although Spanish is the main language, you will find that English is spoken by many people throughout the city, including our dentists. Our dentists all accept US cash and many other forms of payment, including debit cards, credit cards and checks. It is best to check your clinic's individual listing on our website for accepted payment methods. Please note that most clinics here assess an additional 3-4% processing fee for credit card payments. Dentists in Ensenada are not able to bill your insurance company directly, but if your provider allows for out-of-network care you will be able to reclaim your expenses when you return home. Check with your insurance provider before you travel and make sure to bring any forms with you for your dentist to sign. Ensenada’s climate is warm, dry and semi-arid; thus, anytime throughout the year is a good time to visit. The driest months are from June to September. This is also the warmest time of year when the average temperature is around 21°C (70°F). November to February are the coldest months at around 13°C (55°F), but rainfall is still fairly scarce. 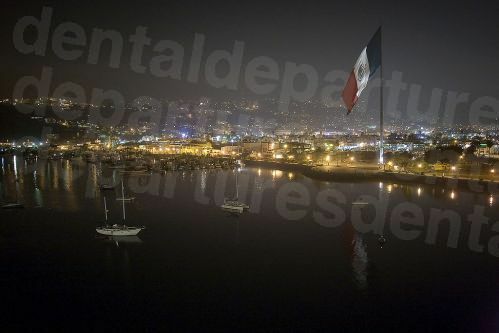 Although our dentists are open all year round, you will find Ensenada to be busier at certain times–for example, holiday times such as Christmas, and as Ensenada is also a cruise ship destination, the city is often teeming with cruise ship passengers, albeit for a few hours until they head back on board. The places in town where tourists want to visit are mostly located in a half-mile stretch along the waterfront. This area has curb cut-outs and is fairly easy to navigate in a wheelchair. Getting around downtown is not so straightforward. Some curb cutouts are steep, and you will need to look out for cavernous holes in the sidewalk where utility hatch covers are sometimes missing. Shops are not always accessible because of steps, although most vendors are happy to do business with you on the sidewalk! Transport around town may be a problem. There are buses with wheelchair access but information is scant on routes, and taxis with lifts are few and far between. Ensenada has made great strides in providing accessibility for wheelchair users, but still has some way to go. Don’t let this stop you from visiting one of our dentists—many of the clinics are wheelchair accessible and happy to arrange transport to and from your appointment to your hotel. We can always get you to one of our great dentists, just let us know your difficulties and we’ll be sure to provide a solution for you. Ensenada is no worse than any other city for annoyances and things to be avoided. With the cruise ships bringing in new tourists daily there is the usual mix of touts, hustlers, scammers and opportunistic thieves on the lookout for unsuspecting victims. Don’t be one of them–keep your eyes open and don’t engage in conversation. Carry on walking, give a polite ‘no thanks’ and they should move on– hey don’t want to waste their time any more than you do! If you are a nervous patient and require sedation, please note that unlike the US and Canada it is not standard in Mexico. Most of our dentists will provide this service if you notify them in advance, but an anesthesiologist will require an additional fee. What Else Can I Find aroundTown? Known for its outstanding natural beauty, the area around Ensenada is wonderful to explore, with many species of flora and fauna, both on land and in the surrounding waters. One of the best places in the world for observing the great white shark is Guadalupe Island, which has been a wildlife sanctuary since 1975. Whale watching is also a popular pastime along this stretch of coastline. The coastline is a draw for mos, with several renowned surfing spots, including San Miguel Beach, Stacks, Tres Emes and Todos Santos Island. Windsurfing and yachting are also common pursuits here. The Guadalupe Valley is famous for its olive and wine production, with many local wine producers offering tastings and tours. During August is a two-week-long series of events celebrating the wine harvest season, which takes place in Ensenada and the Guadalupe Valley. The Fiestas de la Vendimia (Wine Harvest Festival) attracts people from around the world to its cultural and culinary events. 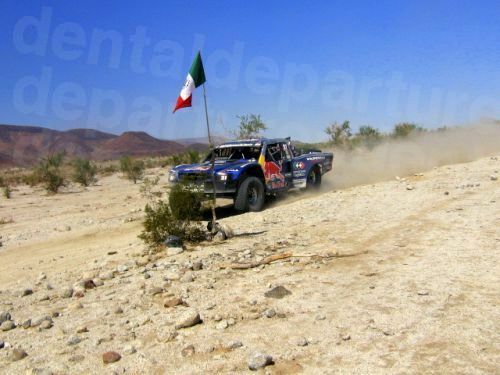 Motorsport enthusiasts will love the Baja 1000 and 500 off-road races - exhilarating and perilous events which are held in November and June. Golfers will not be disappointed and will find a number of golf courses in the area, including the Bajamar Oceanfront Golf Resort, a prominent seaside resort to the north of the city. Ensenada is only 90 minutes away from Tijuana International Airport on the Mexico side of the border and two hours from San Diego, on the United States side. How Do I Book My Appointment in Ensenada? Book one of our great dentists in Ensenada online or call us toll-free. Check out our website to find virtual tours, clinic photos, real reviews and exclusive discounts. With Dental Departures, you can find an affordable, quality-checked dentist quickly and easily. Any questions? Get in touch–we’re here to help.